You are going to Watch Naruto Shippuden Episode 295 English subbed online free episodes with HQ / high quality. Stream Anime Naruto Shippuden Episode 295 Online English sub Power – Final Episode. Absorbing the power within the Ama no Hoko, the Nine-Tailed Naruto Clone mutated into a hydra-tailed version of the Nine-Tails while sending Disonasu to his death. 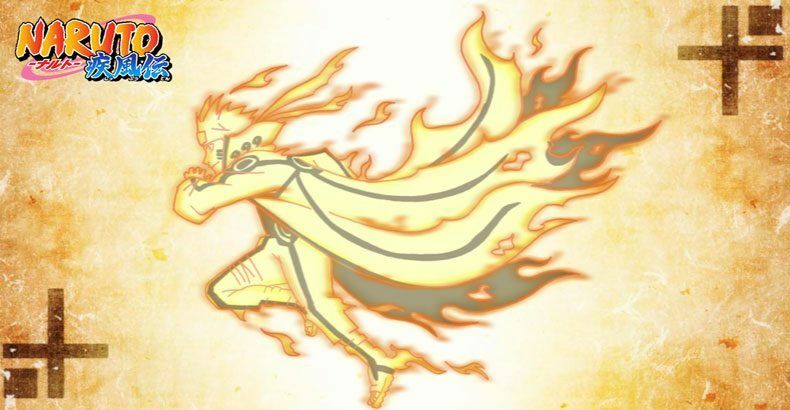 Overpowered, Naruto almost gave in to the Nine-Tails’ offer for power when Minato’s voice urges the boy to control the tailed beast as Naruto is engulfed in a six-tailed chakra cloak in the Nine-Tails’ image. Over time, as he starts to lose against the clone, the Nine-Tails begins to take control over Naruto’s body and assumes a seven-tailed jinchūriki state with Yamato trying to restrain it. At the same time, though followed by Kakashi Hatake, Kabuto Yakushi manages to take his leave in midst of the ensuing chaos. Dokku and Shiseru decide to deactivate the Ama no Hoko and say good-bye to the children. On their way there, they confess their love for each other and decide to get married if they survive before portions of the ground start to sink, with Dokku keeping Shiseru from falling. By that time, Miina is able to get through Naruto, regaining control as he assumed a new form to save Shiseru after telling Dokku to go forward and stop the Ama no Hoko. As Dokku recalls the tune Miina hummed to change the sounds in the Saezuri to deactivate the tower, Naruto uses his new power to destroy his clone as the Ama no Hoko recedes into the ground. The children celebrate with Naruto.